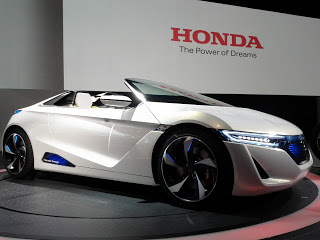 Honda (NYSE:HMC), one of the leading manufacturers of motorcycles and automobiles, has invested in graphene for its energy storage properties. Graphene is touted to become the new material in the manufacture of batteries since electrodes made from graphene can replace those made from lithium. Research done at Rice University, one of the many institutions that have over the years engaged in explorations into the potential uses of graphene, has indicated that the efficiency of lithium ion batteries can be boosted a great deal if boron atoms where added to graphene to make an ultrathin anode. It is this anode that makes the battery more effective in storing energy. Earlier research at the Northwestern University had shown that anodes made from graphene can store energy better than those made from graphite. In addition, graphene anodes can charge 10 times faster than those of graphite. An ideal lithium ion battery has lithium ions that carry the charge circulating through the anode and cathode in the electrolyte when discharging, i.e., when generating power. The process is reversed when charging the battery. The overall performance of the battery largely depends on the ability of anode to hold and facilitate the movement of lithium ions. By adding boron, the lithium ions that circulate in the battery are able to effectively stick to the graphene anode. This overcomes the initial challenge whereby the ions could not adhere to the anode. Anodes made from graphene enable the battery to charge easily and faster. These batteries also discharge slower than the ones in use today. It is this property that companies such as Honda, Kia and Hyundai want to utilize. Honda has partnered with research institutions to try and use the boron-mixture in batteries to manufacture highly effective batteries for use in electric cars. 2 Responses to "Graphene batteries Investment"
“These batteries also discharge slower than the ones in use today” Why is a slow discharge a desirable thing? Because the battery will last for longer?